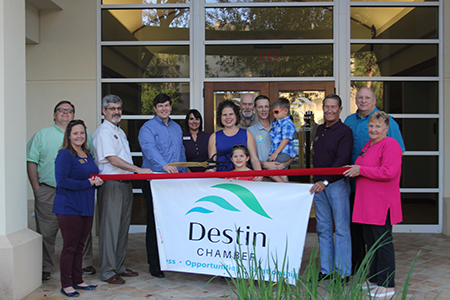 Destin, Fla., Feb. 6 – On Feb. 5, Carrow Window Films/30A Tint & Tidy celebrated a ribbon cutting with the Destin Chamber. Carrow Window Films/30A Tint & Tidy is a professional window tinting, glass coating, and detail service for residential, commercial, automotive, marine, and aircraft. It offers 25 years of experience, and its premier products are eco-friendly. For more information, please call (850) 974-2264 or visit carrowwindowfilms.com.